Is really disheartening when something you have put your heart and soul into didn't pan out. Its a very bad feeling. 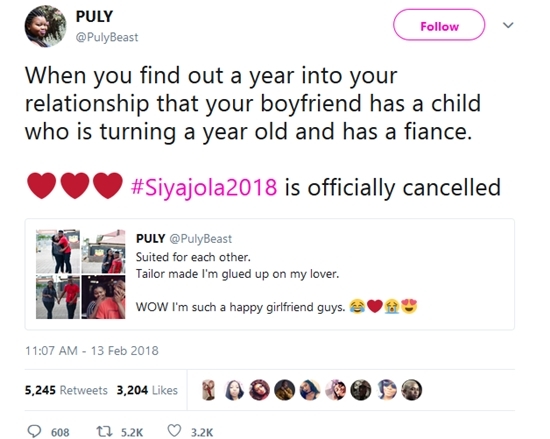 A heartbroken Twitter user identified simply as Puly (PulyBeast) has taken to the social networking platform to disclose that her upcoming wedding, #SiyaJola2018, has been officially cancelled. 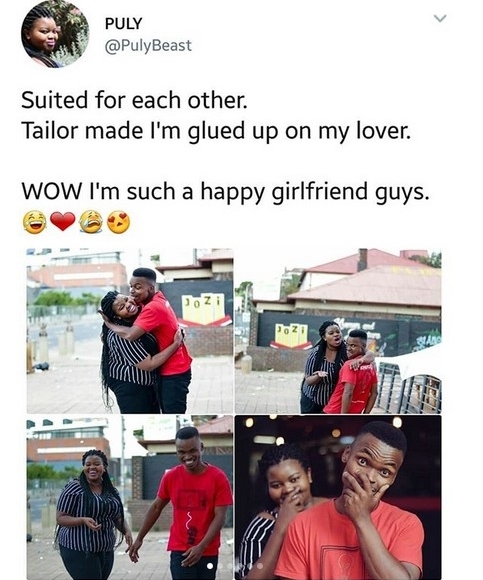 The young lady who had few months ago, wholeheartedly celebrated her man on social media, revealed that she cancelled the wedding after finding out that her fiance has a child who is turning a year old and also has another fiancee. "When you find out a year into your relationship that your boyfriend has a child who is turning a year old and has a fiance. 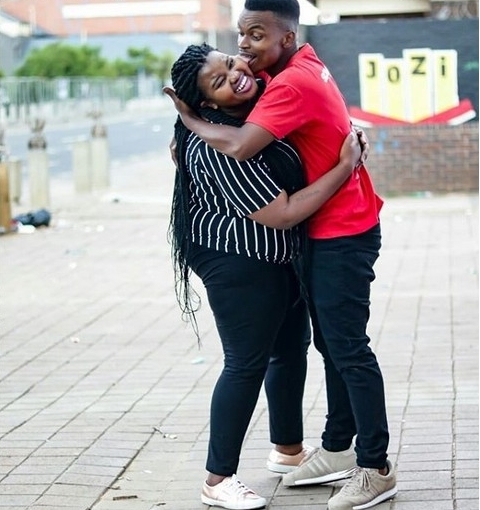 #Siyajola2018 is officially cancelled," she wrote in a post to announce the cancellation of the wedding. In another post, she wrote: "Not anymore. 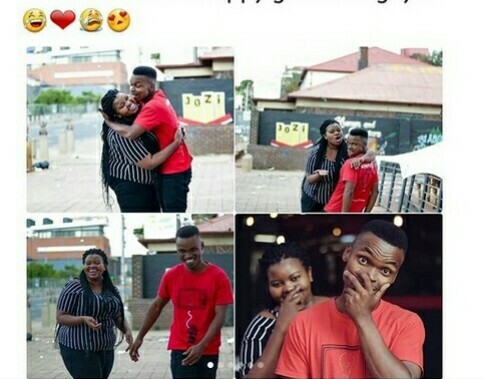 he has a fiance. he has a child. he has 5 other girlfriends one "supposedly" got pregnant and she had a miscarriage. he went on dates and asked girls to date him. he told them I was only a friend. All this while he was dating me.